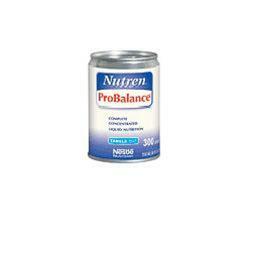 Nutren® Probalance® complete concentrated liquid nutrition provides the nutrients needed, but often overlooked, for a wide variety of patients. Formulated with increased calories, protein, vitamins, minerals, a blend of soluble and insoluble fiber to meet a wide variety of patient requirements. Nestlé flavor packets are available to provide flavoring options.